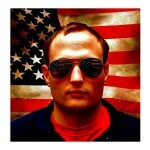 I’m a cyclist who claims that I was born with a pair of sunglasses on my face. I don’t think I’ve ever been out riding without a pair on…yes, even when it’s raining I’m wearing sunglasses. Today we have Nate Schrader from SunglassWarehouse.com providing a guest post on what to look for when purchasing cycling sunglasses. He’s a cyclist like us and provides great information on protecting your eyes, and his company also sells some cool sunglasses at an insanely cheap price. It was a few years ago when I picked up my cousin’s pair of crazy looking sunglasses from the table. They weren’t the Oakleys I was accustomed to, and the lenses were orange with holes near the frames. I don’t even remember the brand, but they were the odd duck in my book of sunglasses. My cousin, who’s been on many charity bike rides after going through cancer treatments and beating them, put his experienced cyclist ego aside and informed me they were sunglasses for cycling. If you’re like I was, you could imagine that biking sunglasses will have some special features specific to biking, but you might not know all of them or what they are. I can tell you after biking to work at Sunglass Warehouse (and maybe doing a little research for you on the Sun Authority!) that the right pair of sunglasses do make a difference and can save you headaches, flat tires, and maybe even your life. 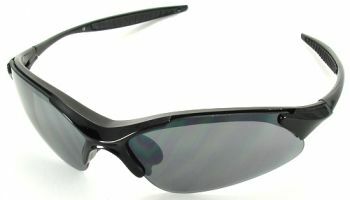 Sunglasses like these half-rimmed sports sunglasses with small nose pieces and tough lenses are a good example of cycling sunglasses. THE most important thing you can have in sunglasses is UVA/UVB lens protection. Usually acceptable at UVA/UVB 400, this lens feature blocks out the sun’s harmful UVA and UVB rays that cause glaucoma and other eye diseases. Plus, if you wear sunglasses without this protection, the darker lenses make your pupils bigger and let in even more light and even more harmful rays – the opposite of what you want! Next is all about full-faced protection. Polycarbonate lenses are much more flexible and can absorb flying objects’ impact than glass. A wrap-around style that curves along the sides of your face will block even more sun, dirt, and those pesky summer mosquitoes from infiltrating your vision. Plus, if you’re a contact wearer, wrap-around styles provide a better barrier from wind at high speeds to keep your eyes fresh without eye-drops. Your next few features to look for aren’t always utilized, but in the worst conditions these two qualities can make a huge difference. If you’ve ever encountered that bright glare from the backs of cars or nearby buildings or bodies of water, you’ll probably agree that a blinding stint of glare could be the end of your ride. Polarized lenses will stop that glare faster than a red light in your groove. Although some cyclists avoid polarized lenses to better spot oil spills and puddles on the road, polarized lenses always have a place on your face on sunny, dry days. *NOTE: Yellow sunglasses are thought to improve night vision, but actually do not. Clear lenses are the best lens color for your late night rides. I use the word enduring because on those longer rides, tighter fits become more noticeable. You want to make sure they’re lightweight with rubber grips to prevent slipping on your hotter rides. The smaller the nose piece, the better, because combined with a half-rimmed style, your peripheral vision is clear to see what’s in front of you and those crazy right turners to your left. Finally, ventilation and padding, and maybe even an elastic strap will improve both fit and vision. The padding will increase distance between your face and your lenses, which will help prevent your lenses from fogging up. Just like rolling windows down in your car, vented lenses and frames will help with fogging too. I’ve seen some styles with an elastic strap to ensure your shades stay put, but most cyclists will agree a strap is not absolutely necessary. Hopefully now things make a little more sense for your next trip. Remember that there’s not just performance benefits to wearing sunglasses, but eye health benefits too. So for those long rides constantly under the sun, remember that the bill of your helmet probably won’t be enough. If you have any questions, or any preferences on features to look for, comment below and help your rookie riders out! Thanks again to Nate Schrader from SunglassWarehouse.com’s Sun Authority, a resource for “everything under the sun.” When he’s not helping others with the best sunglasses match, he’s training for his next cyclocross race and starting up a bike-share program in his home town of Indianapolis. Thank you for the post Daryl. Interesting facts here. Me, as a professional cyclist. The first thing on my mind comes if the glasses can protect my vision and be anti fog as well. When i take long ride, i need to makes sure my cyclist glasses have an option to switch lenses. It wasn’t hard for me to pick the right ones at Ryders Eyewear. They’re definitely the best anti fog glasses i had a chance to wear. Sunglasses are not just a part of outfit or fashion it is a useful accessory of sports . In several games different kind sunglasses are used . 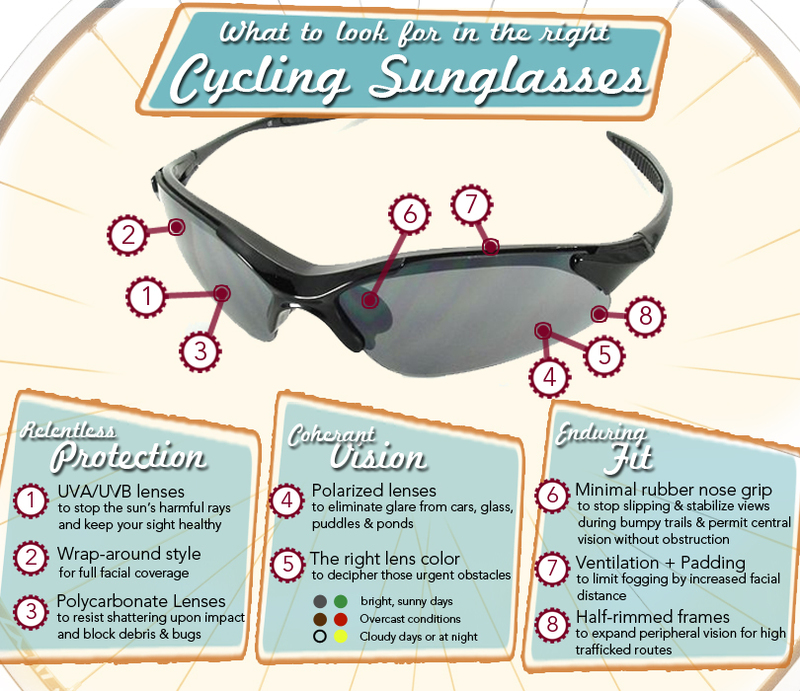 The above description about cycling sunglasses is very well . Good read, and for those seeking magnification for your sunglasses, try website ‘Stick on Lens ‘. Excellent suggestions. I’d caveat that the polarized glasses depend on whether you’re riding road or mountain though. If you’re riding road they’re nice, but I’ve found that I don’t like polarized glasses for trail riding – it makes it harder to see precisely where objects are, especially in mixed shadow/light areas. You can buy small magnifications spots for your glasses, called Stick On Lens, you can get them in several strengths. Hope this helps. In 2004, I bought a pair of Bolle glasses with interchangeable lenses and a RX insert. They were great! I’m still wearing them even though the rubber nose piece is gone as is the rubber grips along the sides. I searched for a pair like these, but no luck. Why is it so hard to find this combination – cycling specific, interchangeable lenses and RX insert. 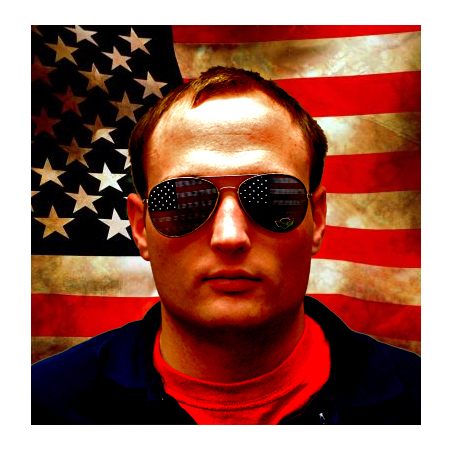 Conservative Values – I wish we had interchangeables, but we unfortunately do not. However, our sister site SunglassManOnline (kind of the Gap to our Old-Navy-ish SunglassWarehouse if you will) has some Tifosi sunglasses with interchangeable lenses along with some other better features like the lens vents and whatnot. It looks like they’re sixty bucks, with one interchangeable pair for about $40. Otherwise, 3 pairs with different lens tints would be about the same from SW.
Great article! The biggest problem I run into is finding shades to wear while riding that are Rx-able. I don’t wear contacts, so I can’t just pick up any pair. And with a prescription, the lenses can’t be too curved, or it warpes the Rx. The last pair I found I wore a year and a half, but then the plastic hinges broke and they’re unwearable. Maybe I should consider contacts…. I’ve been riding with the Tifosi Photochromic (changes darkness as light level changes) for a few years now…can’t believe I’ve not messed ’em up yet. I love these glasses since I commute a lot and ride during sunrise and sunset at times. It’s nice not having to stop to change glasses/lens, or worse yet…go without glasses at all (never do that). The biggest drawback I can see with these, based on this article, is that I’m pretty sure they are not polarized and I’m wondering if they are UV protected. Thanks for posting! Keith, I love the Tifosi Tyrant Photochromatics too!!! I have very sensitive eyes and these are the ticket! I lost the first pair and messed up the second, but I like them so much I just bought a fourth pair so I can keep one in each bag. There is a Photochromatic Polaroid version available for $99 — I just saw them at REI a few days ago. I have a pair of polarized sunglasses in the car for driving because those bright spots hurt me at certain times of day. I haven’t had that issue with biking, but I do more trails, secondary streets, sidewalks, and parking lots than real road biking.